Some say that human hand will never reach the ankle of nature. However, on a portion of the central French territory that corresponds to the former provinces of Anjou, Orléanais and Touraine, mainly in the part of the Loire Valley that extends from Angers to Blois, the man left between the fifteenth and sixteenth centuries an indelible imprint by building thousands of sumptuous castles under the orders of a king or a lord. Nearly 3,000, if we count those of Berry, Nivernais and Maine. 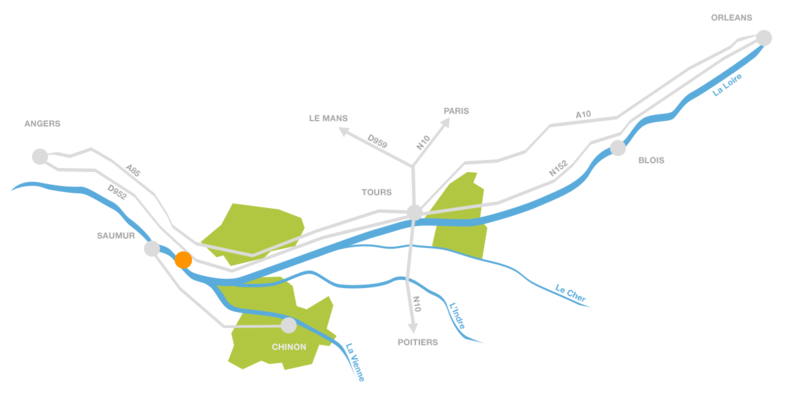 Rightly, the Loire Valley is a UNESCO World Heritage Site. Are you looking for a campsite near the Loire castles? From the campsite Domaine de la Brèche, you will have the opportunity to visit the most famous of them and to marvel at the architectural jewels that still remain today part of the most beautiful heritage of the French Renaissance. Nicknamed the “Garden of France”, the Loire Valley bears witness to the “French way of life” during a period of artistic renewal, particularly in terms of architecture, born in Italy and which has developed especially in France in the fifteenth and sixteenth centuries: the Renaissance. Thousands of castles, most of which were built between Sully-sur-Loire in the Loiret and Chalonnes-sur-Loire in the Maine-et-Loire, in the natural region of the Loire Valley, are called “castles of the Loire” because they were built on the banks of the Loire and its tributaries. To unravel the mystery of this concentration of sumptuous castles, we must go back to the Middle Ages, more exactly to the Hundred Years’ War, and to a family conflict between the Duke of Orleans and the Duke of Burgundy to which King Charles VI was unable to put an end. The war of territory between the House of Anjou and the feudal house of Blésoise, added to the insecurity of the kingdom, led to the construction of many castles along the Loire. Castles which, during the period of improvement that followed the Hundred Years War, became pleasure castles. The castles of the Loire are generally open to the public from 9:00 or 10:00 to 18:30. Schedules vary according to the seasons. In summer, some castles remain open late at night, for example the castle of Azay-le-Rideau which closes at 23:00 in high season. Prices range vary from € 6 (Saumur castle) to € 14 (Chenonceau and Ussé castles). Discount rates are available for children and students, and access is in most cases free for young children. Some castles can be distinguished by their park and their gardens (Chenonceau, Villandry, Ussé, Azay-le-Rideau), others by their superb tapestries (Saumur, Langeais). Visits can be free or guided. In some castles you will find audioguides and iPad courses (Amboise, royal fortress of Chinon). The royal abbey of Fontevraud, the castle of Saumur and the castle of Ussé also offer very beautiful temporary exhibitions. If you want to visit the Loire Castles with children, choose the castle of Langeais which has a beautiful play park and offers visitors a falconry show in high season, and the castle of Amboise where you can have lunch on the grass in family. 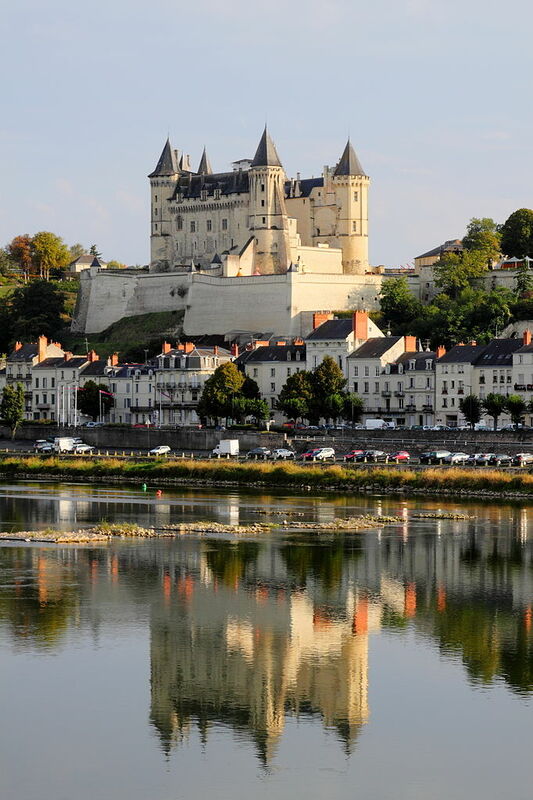 All these castles are located less than an hour from the campsite Domaine de la Breche, a campsite with swimming pool near Loire castles between Saumur and Amboise. The castles of the Loire are divided into three main categories. The ownership of a castle by one family or another depends essentially on the people who ordered its construction and who occupied it, and its architectural quality. The royal castles listed in the Loire Valley designate the castles that served as residence for one or several kings of France. Amboise Castle, for example, belongs to this category. It was originally a royal fortress which became royal castle under Charles VIII. In addition to the castle of Amboise, there are ten other royal castles in the Loire Valley: Saumur, Chinon, Chenonceau, Langeais, Tours, Angers, Loches, Chambord, Blois, Plessis-lez-Tours. Out of these 11 royal castles, 7 are located in the Indre-et-Loire department. These castles were built under the impulse of nobles who usually had an important title, those who were at the top of the hierarchy: dukes, marquesses, earls … In this category stand out the castle of Brissac (Maine-et-Loire ), the highest castle in France, the castle of Ussé (Indre-et-Loire) which inspired Perrault when he wrote Sleeping Beauty and the castle of Villandry (Indre-et-Loire) which has sumptuous French gardens. This category was created to list the other noble castles built during the Renaissance which are, architecturally and / or historically, slightly inferior to the noble aristocratic castles. From the campsite, you can go in less than an hour, sometimes in just 20 minutes, in several castles of the Loire. Many of them are called “royal castles” because they used to be a royal residence. Château de Chinon: royal castle where the King of England Henri II and his sons, Richard Coeur de Lion and Jean sans Terre were received. Château d’Ussé: where Voltaire wrote part of La Henriade. Château d’Amboise: royal castle where Francis I lived, where Charles VIII and Leonardo da Vinci died. Château de Chenonceau: one of the favorite castles of Catherine de Médicis who served as a hospital during the First World War. Château de Langeais: old medieval fortress enlarged by Richard the Lionheart. Château de Villandry: castle where was signed the “Peace of Colombiers”, which symbolizes the defeat of the King of England (Henry II) against the King of France (Philippe Auguste). Château de Tours: Marguerite of Scotland married there in 1436 the future king Louis XI of France. Château de Gizeux: the longest castle in Touraine Angevine (250 m long facade). 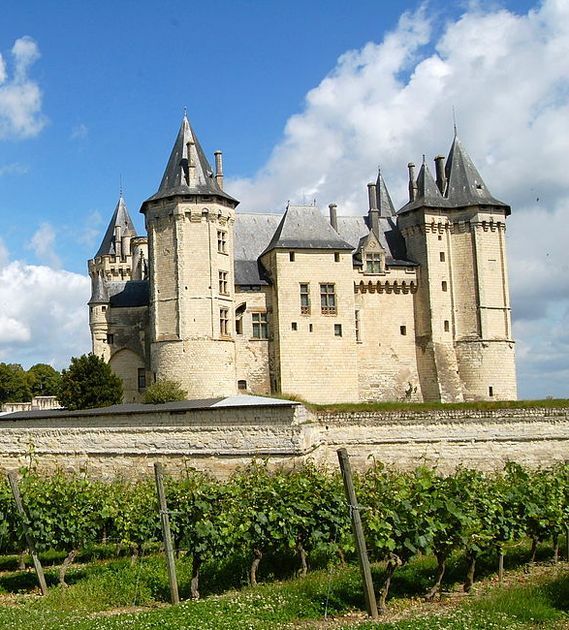 Château de Saumur: one of the main castles of the House of Anjou then transmitted to the Plantagenet House. Château d’Angers: castle of the dukes of Anjou, one of the most visited sites of Maine-et-Loire. Abbey of Fontevraud: former Benedictine abbey, one of the largest monastic cities of Europe. Château de Brézé: Private property distinguished by its vast troglodyte network. Château de Montreuil-Bellay: castle frequented at the beginning of the 13th century by the kings Philippe Auguste and Louis VIII. Château de Montsoreau: castle with avant-garde architecture, the only one built in the bed of the Loire.